Jason hasn't seen Cami in three years. Now she's back, with the son he'd wanted to claim as his own. Can he believe her newly found faith or will she desert him, and God, again? Jason Becker planted himself in front of his parents’ front window, arms crossed and feet spread wide. A drumming began behind his eyes, and he hoped his posture conveyed his irritation. The source of it was coming up the front walk. Camilla Marie Jones looked just like she had three years ago, the last time he’d seen her, with hips swaying under her long skirts as she walked. She’d always preferred skirts, even in the snow, and today was no exception. Through the flurried white haze, he could see her old purple car. Not the car itself, just the burst of color he’d always associated with her. Cami looked up as she neared the porch, caught sight of him and slowed her pace. He didn’t think the cold was the only thing putting color on her cheeks. Their gazes locked for a few seconds, until Jason looked away. Long, dark brown hair still fell halfway down her back. Her waist was still trim, though she had a child. For all he knew she could have more than one by now. She’d probably left him and gone straight back to Robbie’s father. She held a round, covered dish in her gloved hands. Probably something his mother had told her to bring. Probably something special. Jason closed his eyes for a brief moment and when he opened them, Cami was gone. Cold air blasted his neck as his sister Joni answered the door, the chill settling like a blanket in the room. Or maybe it was the company causing the chill. Jason refused to look. To listen. Instead, he studied the pattern of snowflakes falling in the front yard, keeping his back to Joni and Cami. That ragged old chair had been his father’s, and Jason knew his mother would never part with it. Cami cleared her throat. “He went to his aunt and uncle’s for the weekend. I met Colt halfway, in Pennsylvania, and he took Robbie on to the inn. They won’t get to see Robbie for Christmas this year, and I figured he ought to spend some time with them now.” The heavy door closed, and Joni cleared her throat. “No, I’ve got it. Jason, say hello to Cami.” Joni disappeared into the warmth of the brightly lit kitchen, leaving him alone with Camilla Marie in the cooler, dimly lit living room. A plastic candle set turned on in the window as he watched, and he wondered when his mother had discovered electric timers. Better than the real things, considering that the dried Indian corn and gourds on display could catch fire. He sighed. Was it too late to slip out the back door? Probably so. It was inevitable. With a sigh, he turned to look at her. “It’s been a while. 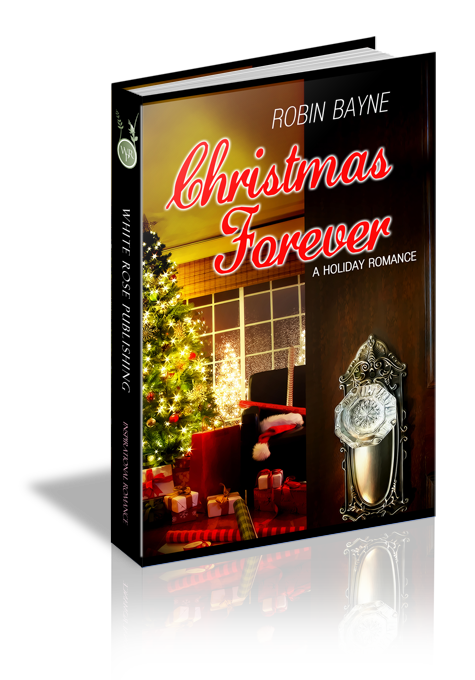 Robbie and I have missed you.” She took a few steps closer as she fiddled with her scarf. “Been three years, the kid probably doesn’t even remember me.” He sounded childish, but couldn’t help himself. “Right. How is he, anyway?” Jason couldn’t keep from asking. Robbie had been three the last time he’d seen him. He’d grown attached to the little guy, until Cami had ripped him out of Jason’s life. There were still Saturday mornings when he half expected the toddler to come running up his front porch asking him to turn on Sesame Street. Curiosity thawed his cold shoulder only slightly. He nodded and moved to the couch. She sat, leaving only inches between them, and leaned toward him glowing with maternal pride. “Here’s his new class picture, and this one is Robbie and his little friends learning to hit a softball off a big tee.” Jason studied each photo, clearly seeing Cami’s features duplicated in the boy’s face. The dark hair, too, just as thick as his mother’s. The closer Cami leaned in, the more Jason could smell her perfume. It wasn’t a heavy floral scent like the department store clerks tried to spray on unsuspecting customers, but a light, lemony one. A scent that brought back memories. He shook his head. “No, I didn’t.” That was true enough. Would he? Jason decided to be honest. “Yeah. It is Thanksgiving, after all. No one should spend it alone.” He wondered if she’d spent many holidays alone with only her son for company. If she had, it wasn’t his fault. “That’s true.” She folded the photo sleeve and put it back in her purse. “OK.” He wasn’t about to debate fashion or color. “Let’s go help Joni in the kitchen.” When he started to rise, Cami touched his arm. Taking a deep breath, he sat and prepared for whatever she wanted to say. “Hi, Mrs. Becker.” Cami stood and allowed herself to be swept into a motherly hug. Great-godson? He nodded, chuckling at the term his mom had invented. Whatever else Cami had been about to say would wait. He saw her throw him one pleading look before Mom tugged her from the room, probably tying her into a purple apron already. When he heard them clinking china on the dining room table, Jason headed for the kitchen and poured a tall glass of water. The aroma of roasting turkey filled the air, and he inhaled deeply. He bent over the sink, leaning on his elbows as his mind tried to process seeing Cami again. He wasn’t sure how he felt about her or the situation. It was a shock, but not an altogether unpleasant one. “You and Cami. It would never work out.” She continued drying the pan she held. Joni bent to put the large pan in the lower cabinet. Metal clanked on metal as she maneuvered it into place. “Forgiven. And was is the key word. Now you can start fresh with her.” Joni shuffled a handful of silverware into a drawer. “Or a challenge.” She batted her eyelashes at him, like she had when they were little.